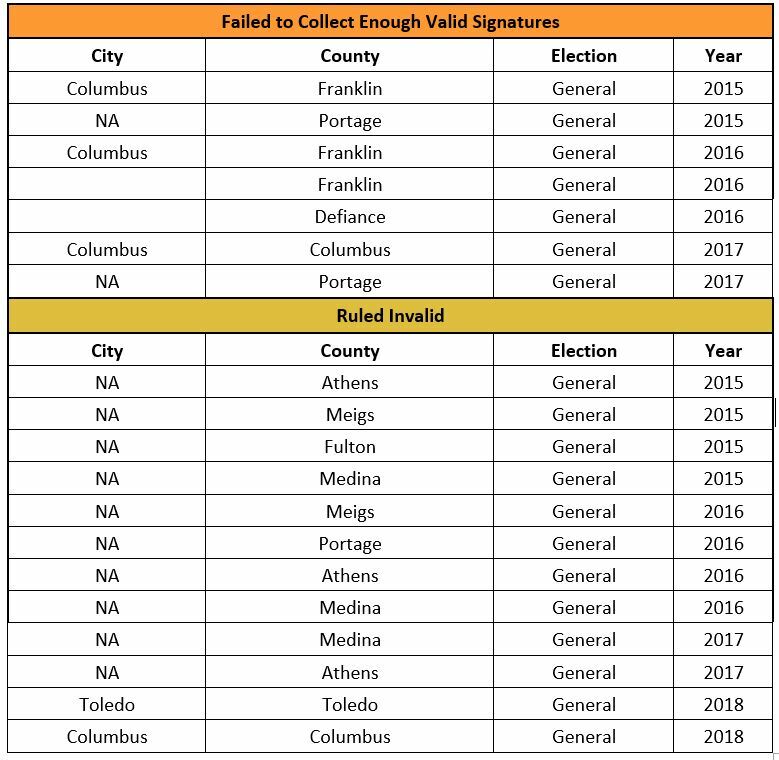 The Community Environmental Legal Defense Fund (CELDF) has been targeting Ohio for six straight years, attempting to pass a total of 35 illegal and unenforceable ballot measures aimed at banning fracking and day-to-day commerce across the state, costing taxpayers across the state hundreds of thousands along the way. Now eight months after CELDF co-founder Thomas Linzey was slapped with sanctions for similar “bad faith” efforts in Pennsylvania, two Ohio boards of elections have hit him with a two-punch combo, as the Franklin County Board of Elections and the Lucas County Board of Elections recently voted to toss CELDF’s Columbus and Toledo “Community Bill of Rights” measures off their respective ballots this fall, citing Ohio Supreme Court precedent. 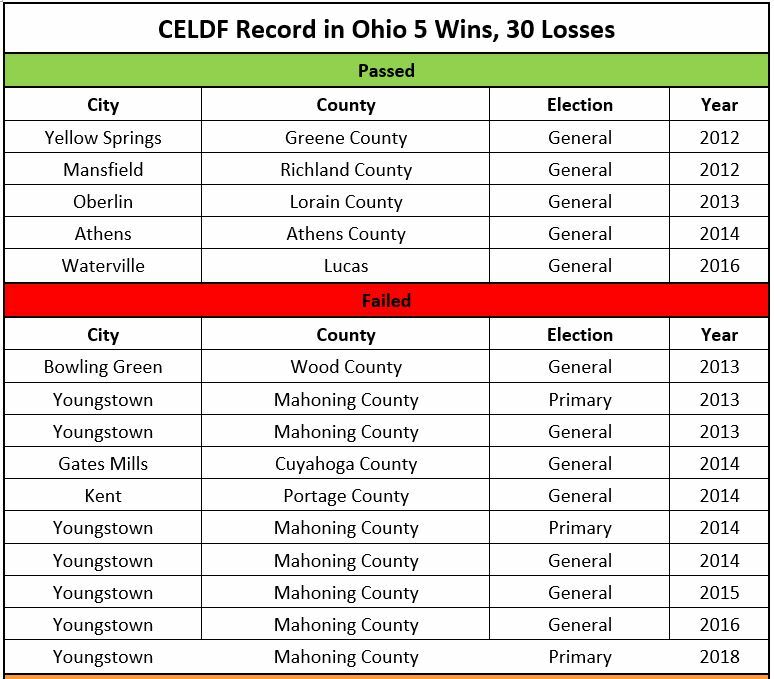 CELDF’s fail rate has reached epic proportions in the Buckeye State, as these recent decisions swell the CEDLF Ohio loss record to 86 percent! As a direct case-in-point to Judge Baxter’s opinion here, CELDF just this week filed a mandamus action with the Ohio Supreme Court, officially challenging the Franklin County Board of Election decision on the Columbus Community Bill of Rights. Is this at all shocking? Absolutely not. This is the playbook for CELDF: circulate petitions, try to get a measure on a ballot, and even if that fails, appeal and take the issue to court, wasting taxpayer dollars in the process. As Judge Baxter noted only month ago, CELDF is acutely aware that its efforts have no legal basis and are instead a blatant attempt to advance a political agenda. “[A]s made clear by the pattern of CELDF-affiliated litigation (all of which has been led by Attorney Linzey) in the years leading to this action, foregoing sanctions in this instance would be inconsistent with the Court’s duty to ensure that lawyers who practice before it do so ethically and responsibly. An attorney ’s zealous advocacy for the protection of a client’s interests is certainly appropriate; however, the legitimate pursuit of justice imposes important obligations on counsel to ensure that the Court is not a mechanism of harassment or unbridled obstruction. With a loss record at 86 percent, one would think CELDF would just throw in the towel. However, as EID has pointed out before, the longer this group continues on with its antics the more their campaign coffers swell — raising millions for its scams while leaving taxpayers to pick up the tab.